I think Leonard is one of those magnificent oaks! Leonard’s style has certainly become different. In his early songs there was a rich romantic lyricism. Leonard worked hard to describe things in terms that were fresh and lyrical and filled with “wearing rags and feathers,” “heroes in the seaweed,” “children in the morning.” As he has aged the words he uses from the steamer trunk of his experience have become more raw, more warty, more covered with liver spots. In looking through the lyrics of Popular Problems, I notice, old/dead/murder/rage/torture/bridge of misery/smokers/prisoners/jail. Things are no longer made ethereal. Henry James wrote, “Art makes life, makes interest, makes importance.” And aging for Leonard is still an act of life and art. In Slow Leonard uses reversals of expectations. Last instead of sooner or slower or eventually etc. The rhythms are tight, the rhymes are fun and interesting the music appropriate. Ok, speaking of the music, many folks are disappointed first in Patrick Leonard, then the production etc. Edel speaks of this in his essay how with aging spontaneity disappears. There are always expediencies. In my own case my wife has to drive at night. When Henry James developed writers cramp, he learned to dictate directly to the typewriter. Patrick Leonard can provide a musical scenario much quicker than Leonard could and yet, Leonard still had approval power. Nothing was released that he hadn’t put his imprimatur on. Almost Like the Blues continues the careful rhythm and rhyme patterns. Of course, the favorite humorous line, “And all my bad reviews.” We are introduced again to his Jewish history and again the notion of “G-d in Heaven” and salvation. The words like “frozen” and “rot” interposed with “chosen” and the parental debate add richness and history to what becomes more than just a clever phrase. Samson in New Orleans is one of my favorite cuts on the album. New Orleans is one of my favorite cities. You can carry an open liquor bottle on the street-girls without blouses greeted us having only painted their chests to look like clothing and asked for a dollar to have our picture taken with them. On a continuum of freedom New Orleans is on the liberty end. Now why would Samson want to take “this temple down?” Are the most libertine of Americans associated with the Philistines? Where is Delilah and what has her cutting of Samson’s hair had to do with this scenario? Who are the killers? There is enough mystery in this song to keep me going for a long time. Plus I just love the hymn-like quality to the music and Leonard’s voice. Leonard said he’s been working on A Street since 9/11. This is another masterpiece of rhythm and rhyme-we’ve had the previous version-so we are able to ponder the changes. He re-introduces the image of himself left with the dishes and the baby in the bath that he introduced in Undertow and states that “i’ve landed on my feet.” I hope that someone will do a comparison of the two versions. I loved the first version and I’m tempted to think that Leonard overthought this, but he is generally correct in his revisions. It reminds me how confused I was listening to “Coming Back to You” thinking it was a song about a girl and then realizing that it was about Leonard’s relationship with his version of “G-d.” Now instead of a mis-understanding about repentance, the song becomes such a raw, un-repentant argument about a relationship that at least’s from Leonard’s viewpoint needs to be “settled.” Thank you to dear Elizabeth who pointed out the reference to Lemon Trees/Almond Trees in Leonard’s earlier poetry. In looking at the booklet that comes with PP, I’m on the page that has Did I Ever Love You and it shows Leonard with his whole tool box out polishing his shoes. “And is it still raining, back in November?” This backward look probably encompasses the most touching points of Leonard’s life. I certainly don’t know them, but anyone who is crying out, “Is it ever settled, is it ever over’ knows the right questions to ask. This is a very touching song. The image of Leonard and G-d leaning across the old table is magnificent. Nevermind is the beginning of the master works of this album. As I alluded to earlier, it is the struggles that an artist has that often defines the quality of their later artistic life. Nevermind is a caustic version of the never ending story of the results of the Babylonian Captivity. How does one operate in a culture that one, is not one’s own culture, two, goes against many of the principles of the native culture and three, demands that many of these principles are needed to survive. If I had to guess, I would suspect that the concert in Tel Aviv brought many of these issues to a head. There was so much pressure on Leonard to perform or not perform when he (at least in my mind) had really good intentions. This song also contains such wonderful late imagery. “The Sweet Indifference/Some call Love” “The High Indifferance/Some call Fate.” and so “Intimate.” Blood and dust now that reach across this ancient landscape where Leonard says that his children’s graves are safe from ghosts like you. brought me back to my dying friend, Bonnie who had been battling cancer for many years. She was released from her struggles shortly after our trip and her soul did cross over out of Pharaoh’s dream. The imagery in this song haunts back to his early years-“sensual illusion,” “a sweet unknowing,” and “bitter liquor sweetened from the hammered cup.” It is a beautiful heartfelt song and without any irony. How difficult for any of us 21st century people to say these kinds of words. It is not so much that Leonard has a deep faith but that the questions of our little lives offer so much to those who are willing to ask them. It as if Leonard has lived his life to be strengthened by the insights and fortitude of experience and can now accept the incomplete. Age leaves a great deal unsaid, what is said is an achieved simplicity. This leaves Leonard’s last song, You Got Me Singing. Like Yeats’ he sang. He is singing the tatters of the indignities that have been heaped upon him like the reputation of an old scold destined for a bedsit. Or for a clueless scholar who is shaken down by a bad business agent. Or one who only has a few friends on an old newsgroup dedicated to the 35 people still interested in his work. Or a bad monk who gets by because he cooks well and entertains the head monk. This song has it all. It has Alex’s violin. It has the wonderful chorus of the new girls who sing with him. It has pardon and the desire to carry on-it has the hope of a new tour from an 80 year old artist who is a great oak. “They acknowledge despair, they acknowledge their instincts and their feelings, and grow old without the rigidities of aging. Within the tattered coat upon a stick there is a radiance-the same radiance as in the self-portraits of Rembrandt grown old. Thank you so much for this post Joe. Good stuff. I thank you too Joe…really appreciate your review and thoughts. Very good images too. Thank you taking the time to so insightfully analyze Leonard's new songs. You were able to amalgamate many of the disjointed images and thoughts I have when listening to them, and you were able to add some interesting connections to other works of Leonard and others. Analyses like these are never really finished, of course, but yours represents the foundation and most of the first story of the structure. Having now listened to Popular Problem a number of times, I was considering offering my review. But anything I am capable of putting to paper would be laughable in comparison with what you wrote, so I owe you thanks for not allowing me to embarrass myself. I have to say I would bet a goodly amount on the supposition that your career was teaching literature or something closely related. Like some others, I was pleasantly surprised to find that it took very few plays of Personal Problems before it occurred to me that I really like it. I would, of course, loved to have found some new songs in the style of Leonard's earlier periods like, for example, "Songs of the Street," "Joan of Arc," or "Avalanche" (the first Cohen song I ever heard), but Leonard's mood and voice have moved on, and I suspect that his well for new music (as opposed to lyrics) has understandably dried up a bit (thank you Patrick Leonard for stepping in). But, we have all moved on. And for what it's worth, I think that "You Got Me Singing" is one of the best songs of Leonard's long career. Thanks for your kind words. I have a tendency to write like a college freshman offering an essay to a beloved professor and it embarrasses me now that someone has said it caused them to pause in commenting on the work. That was the last thing on my mind. My efforts were directed at some other friends who have dismissed PP and I was hoping that I could help them in a bit. Please give us your thoughts. I've so enjoyed reading the other threads and folks reactions and insights. I seem to need to ruminate a bit before I can comment, but I fully plan to engage in the other discussions. I am intrigued by your observation that "Things are no longer made ethereal." I agree with you, and many others here, that the hymn-like quality of the album is compelling. It becomes moreso at each listen. Dear Joe. I appreciated your analysis very much! I have read it several times, but copied it just for myself to have more time to think thoroughly about it and compare it to my own analysis. Once again, thank you so much for sharing your thoughts with us and for taking the time to write the "essay". What a pleasure to come across this post, Joe. I was hoping this kind of discussion would spring up somewhere, and that I'd witness it. I want to echo what you said about My Oh My: the simple ache of 'held you for a little while my oh my oh my' really kind of socked it to me the first seven hundred times I listened to it. I keep trying to anesthetize myself against the compulsion toward literal doubling over but my attempts have largely failed. Both brilliant and beautiful in its literary substance and seriousness of perspective and detail, Joe. Thank you so much for taking the time and for your care in sharing your very insightful thoughts and views. I'm hoping your piece impacts your friends toward listening more and with greater care. Love what you've said here, Abby. The poignancy of "held you for a little while my oh my oh my" is heart rending. And your choice of photo is perfect. Hello Joe! It's good to read you around! I could and probably should have reflected on Edel's essay after I listened to Old Ideas. While the albums are quite different, I still think that Old Ideas is a sterling example of a wonderful writer's late works-in my mind, everything Edel said applies to it also. Abby, that photo seems to resonate with so many great lines from Leonard. Your connecting it to those lines in PP is splendid. And I think it is the way Leonard sings, My Oh My that brings such wonderful poignancy to it. Hi Tchoc! It is so good to converse with you again. The Purcell is beautiful and brilliant and yes, the "Halleluia" does resonate with Leonard's work and our experience of the blood moon and lunar eclipse. It is so good to see you posting about PP! Donna & Lizzy, thank you for the kind words and I hope that you will post more about your impressions. The more I hear this album, the more I like it. Its autumnal quality seems so appropriate for this time of year, too. Thank you so much for your wonderful analysis. You put it all into a very meaningful perspective. I apologize for not responding earlier, but I'm so busy these days that I can hardly find the time to read the responses to the album on the Forum, let alone write any of my own. But you've given me a lot to think about. But "tattered coat" ??? NO! Immaculate coat and well-shined shoes, YES. But I only talk about Popular Problems, cow-boy! Leonard Cohen's art, (for a mysterious reason, that I don't understand - and don't want to) gives me so much good energy. I have to dance a Spanish Snoopy Dance, now! There is a lot of this, rather challenging, "reversal of expectations" stuff going on in PP. Like the tongue in cheek reference to his "bad reviews" in the same breath as torture and killing, and the contrasting styles within Did I Ever Love You. In Slow, he references William Blake, but in a humorous, rather than weighty verse, another sort-of 'about turn'. The author begins with the ideas of literary theorist Victor Shklovsky, who regarded the slowing down of perception as a means to prompt 'seeing-anew', as being one of the purposes of art. 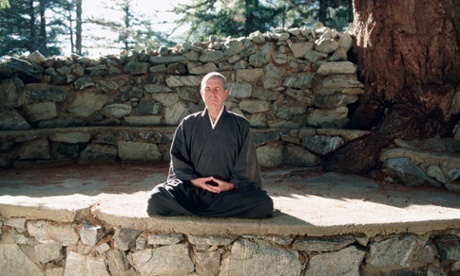 He then expands that into a discussion of how zen practice intensifies this 'defamiliarisation'. Defamiliarisation is...both a function of art and a structural feature of spiritual life, and whether or not it is recognised in this way, it is the source of deep resonance between them. That is also good to reflect upon at reduced speed.